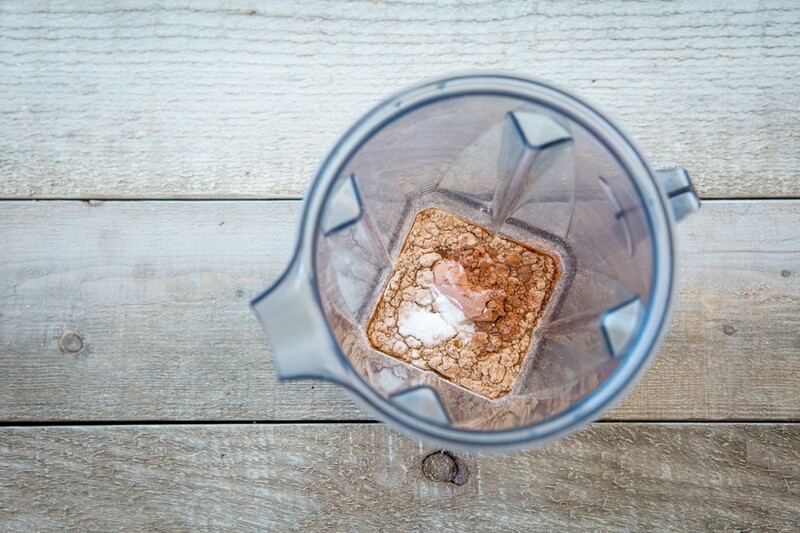 I Work For Chocolate Milk and the Top 5 Healthy Habits I Picked Up in 2013! Who’s making new year’s resolutions? I’m not one for new years resolutions, myself, as I try to accept myself as I am at all times, but I’m all for adapting new habits throughout the year that make your life healthier, more efficient, or more fun. Today, I’m sharing with you the top 5 habits I picked up in 2013 that changed my life for the better. 1. I stopped washing my face with soap. I realize that this may sound like I stopped washing my face altogether but that is not the case. A little post about oil cleansing by Gabby at the Veggie Nook pretty much changed my life. Seriously. I have less breakouts and my skin is softer than ever… and I rarely use moisturizer anymore! Plus, I make the oil concoction myself and it’s so much more economical than buying vegan, cruelty-free cleanser with no harsh additives or chemicals. Gabby, my skin and I cannot thank you enough! 2. I started scrubbing my face with sugar. Yeah, it’s another skin habit, but I swear- the best thing I did for my skin (and my wallet) last year was to start making my own facial products. I adapted a recipe for a lemon sugar scrub from Angela at Oh She Glows and began scrubbing my face with it every day before I get in the shower. My skin has never been smoother and it actually glows when I get out of the shower. Who wants smoothy, glowy skin? 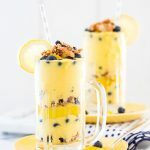 Combine 1/2 cup sunflower oil with 1 cup of unrefined sugar and the zest and juice from one lemon. 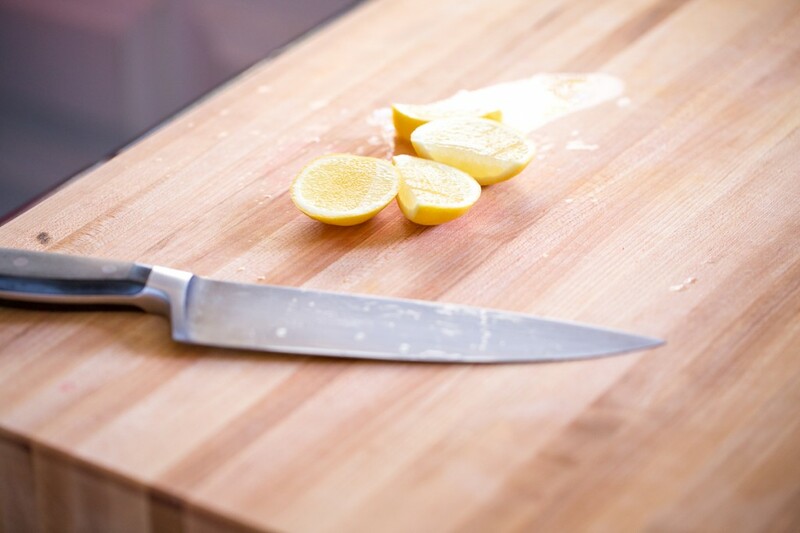 The lemon juice actually helps reduce acne scars or blemishes while the sugar scrubs away dead skin and the oil hydrates. Hello, beautiful! 3. 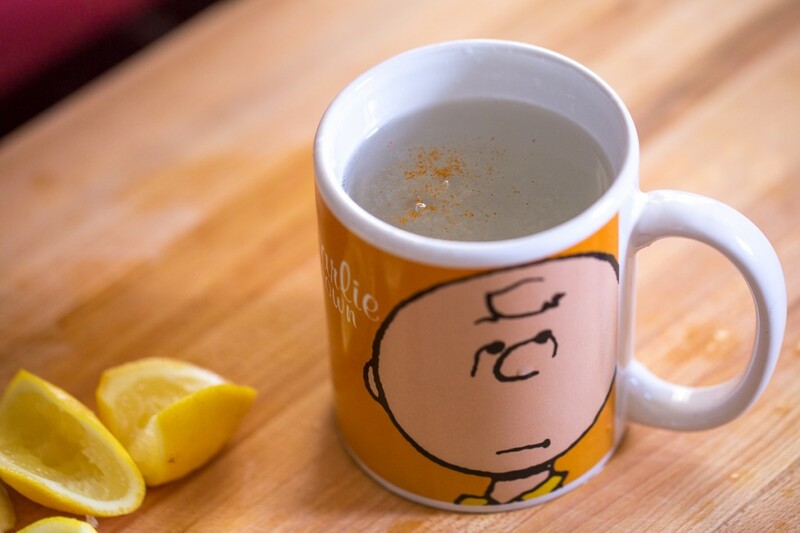 I started drinking warm lemon water every morning. I started drinking warm lemon water every morning while I take Samantha for her morning walk and everything you hear about it is true. It’s very detoxifying, hydrating, does wonders for my skin, my digestion, and my general sense of well-being. I’ve also taken to adding some cayenne pepper to get my metabolism going before my morning workout. It hasn’t helped my hiccups, but it seems to help everything else! 4. I started drinking a recovery drink after my morning workout. It used to be that I would come home from the gym, shower, and then eat breakfast. After a pretty strenuous workout, I’m pretty hungry but I used to ignore that hunger and shower first because I hate eating my breakfast in sweaty clothes. What resulted was me having super low blood sugar, having no concentration or focus, and staring off into space for far too long while in the shower. So I started drinking a glass of vegan chocolate milk when I got home from the gym. I started off with So Delicious Chocolate Milk because Damn. That stuff is amazing. Every morning, I was taken back to 1985 and the era of the powdered Nestle chocolate milk. As delicious as it was, though, it is not very cost-effective and it does have a little more sugar that I should be drinking every day. 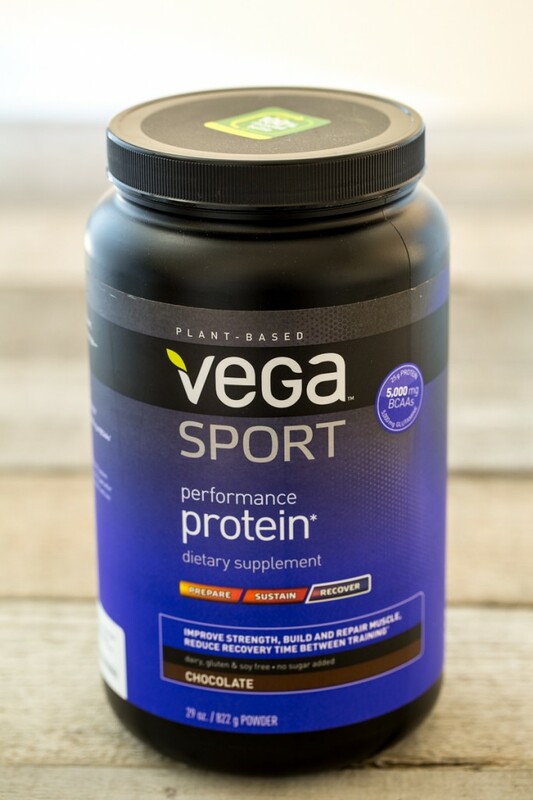 When Vega sent me some of their Chocolate Performance Protein Recovery Powder to try, my eyes zeroed in on the word “recovery” and I knew where my next chocolate milk was coming from. Now I drink this little concoction after every workout and I feel super healthy, take shorter showers, and feel full after my later breakfast. It’s so good that I actually look forward to it throughout my workout. It’s like my little reward. My delicious little reward. 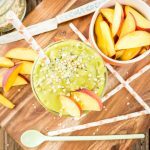 Combine all ingredients in a blender and process until combined. Drink immediately and enjoy! 5. I stopped killing myself at the gym. This was a big one for me. I have a tendency to push myself as hard as I possibly can when I workout. It’s not cardio unless I feel like I’m going to die if I do one more minute. They’re not lunges if I can still walk afterwards. See where I’m going with this? All of this “pushing myself” was not getting me anywhere, though. I wasn’t seeing any improvements in my physique or my performance. I was tired all day and I was beginning to dread going to the gym. After we returned from Europe, where I hadn’t worked out for nearly three weeks, I was in better shape than when we had left and all I had done was walked. No, I wasn’t going to start walking 8 to 10 miles a day, but I decided to stop pushing myself so dang hard at the gym. I still get a healthy sweat going but I’m not trying to ruin my life every morning at the gym anymore. I feel good when I leave and I don’t mind getting up in the morning and going back. I also saw a huge improvement in my weekly runs. Since I’m not so fatigued all the time, I’ve increased my average from a 9:45-50 minute mile to a 9:18 minute mile. This attitude has spread to other areas of my life as well. If I’m working so hard at something that I’m beginning to not like doing it, I know now that I need to step back. If recipe testing is beginning to make my brain hurt, I get out of the kitchen. If I’ve stared at my computer screen for so long my eyes feel numb, I shut my laptop for awhile. It’s good to be efficient and get as much work done as possible, but if you begin to hate life while you’re doing it, it’s time to do something else. What healthy habits do you have? Have you made any changes for the new year? Disclaimer: Vega gave me this product to try but the thoughts and opinions are my own. 50 Responses to "I Work For Chocolate Milk and the Top 5 Healthy Habits I Picked Up in 2013!" I am LOVING Vega’s new protein smoothie mixes. I am trying to have them more for breakfast on my rest day or on not-as-heavy workout days. I also love their Recovery Accelerator drink mix after long, hard workouts or races. I also have the hiccups quite often, and I find they are brought on my drinking room-temperature water! I have to drink really cold or hot water. Since I can’t drink tea anymore, I love hot water with fresh-squeezed lemon. Room temp water! Huh. I’ll have to pay more attention to them. I always get them when I eat raw carrots but sometimes they’re just random, out-of-the blue hiccups. Thanks for commenting, Beth! Cute list, Kristi. I started adding in more recovery drinks this year, too. Although I have to abandon Vega as an ingredient. It is just too expensive! Good ideas! Thanks for posting these… Question: I think you said you used the lemon scrub on your face in the shower? What do you recommend as a body cleanser in the shower? I can totally relate to #5. I think that needs to be my goal for 2014. And I never thought to use this protein powder for chocolate milk; must try soon! Mmmm chocolate milk! I love that it makes you take shorter showers- Food is the only thing which will get me out of my beloved hot, hot showers! The lemon water thing is something I started in 2013 too- though now I’m doing apple cider vinegar and water. Awww well I am so honoured that you started doing oil cleansing because of my post 🙂 I’m so glad you love it as much as I do! 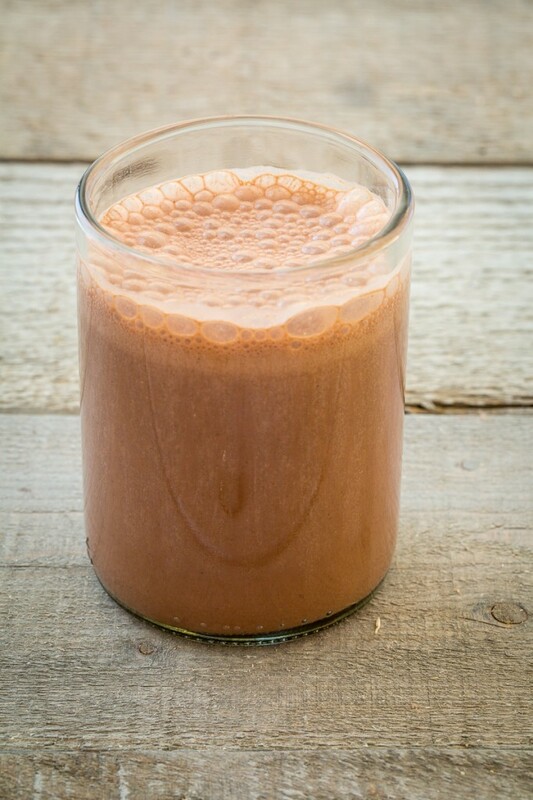 I love this “chocolate milk” recipe! I am definitely going to try it. I got pretty sick of vega but I am really liking the sport line! Is the Veggie Nook gone? Nice list! I love lemon water. I got addicted to this as well, but I juice an entire lemon and mix it with a big glass of cold water. I drink the whole thing before coffee (which for me is a big deal). Now I find it wakes me up more than coffee! I have been washing my face with good ol dr. Bonners, but maybe I should try your oil method…. I just started doing warm water with Lime the last few weeks. It has helped with some stomach upset in the mornings and I’m sure will have better effects the longer I drink it. I like having that warming routine as well, kind a cathartic? I am on that sugar scrub like brown on rice! I can smell the lemon now :-)! I’ve been “washing” with oil for about a year and will never go back to commercial products. (PS I only wash my hair with water: huge difference.) And – I drink a glass of apple cider vinegar mixed with water each morning. Oh, and I’m totally with you on working out. I started to get nagging injuries that kept me from a steady routine, I’ve dialed back and have added more yoga. Here’s to non-resolutions! Yay for non-resolutions! 🙂 Thanks for stopping by, Annie! Can you please write a post all about your skin care routine? I love seeing all different perspectives. Thank you! I am craaaap at remembering to drink water in the morning–always too distracted by a need for coffee, haha 🙂 This is motivating enough to get me to give it a go again, though! I used to always forget to drink water in the morning but this little ritual has totally changed that and now I look forward to it! I love that you decided to get a bit more relaxed about your workouts. I have heard that working out too hard can be counterproductive and it’s no fun anyway when you dread doing something. I am totally trying the sugar scrub. Thanks! This year I added a hot shower before bed to relax me and help me sleep better. I also started doing sun salutations to the 4 directions every morning right when I wake up. It’s great for getting my circulation going and helping me get centered for my day. Ooooh! I love those tips! Thanks, Teresa! Love all of these, especially #5. Somedays I wish I could have back all of the time I spent on the elliptical in my early 20s thinking I needed to burn so many calories… turns out that 20 minutes of Pilates does me just fine. In 2013 I gave up coffee, and I feel like it’s so much easier to wake up in the mornings now that I kicked the habit. In 2014, I’m planning to cut way back on my refined sugar consumption and learn to bake with healthy alternatives. Happy New Year! Kudos to you for recognizing that killing yourself at the gym wasn’t translating into anything positive for your body, mind or spirit. I too struggle with the ability to walk away from tasks that are draining me (it’s that “I KNOW I can get it if I just spend 5 more minutes…”). Best of luck maintaining that mentality for the new year and beyond! Great post! I’m definitely trying the sugar/lemon scrub. I have a suggestion for your hiccups — not how to prevent them from happening, but how to make them stop. I can’t even remember where I learned this trick as I’ve been using it for so long, but it works almost every time. Here’s what you do: (1) pour a very large glass of water into a glass that has a wide diameter rim (big enough to stick your chin in it); (2) stand in front of a low sink, over a bathtub, or in a shower; (3) while leaning over the sink, take a deep breath and hold it, then start drinking out the “wrong” side of the glass — the far side, so that your chin is on the inside of the glass — taking repeated regular-sized sips (while still holding your breath) and leaning your head further down into the sink as the water in the glass goes down (you’ll actually end up on your tip toes as you keep trying to get you head lower and lower as your hips go higher and higher); (4) keep drinking as much as you can until you completely run out of breath. I think what happens is that as your head falls lower than your abdomen, the muscle spasms in the diaphragm stop when the throat/tongue muscles are stretching to pull water against gravity up your throat. This probably sounds very confusing, but I hope you can give it a try to see if it gives you any relief. 95% of the time, this works for me on the first try, but sometimes I have to do it a second time — after I no longer feel water logged! Good luck! Your tip isn’t confusing at all! My husband actually taught me that one years ago and when I have a fit, it’s what I always try first. Most of the time it works, but sometimes it takes a few tries and/or holding my breath. I was hoping to find something that would prevent them from happening but I’m still on the look. 🙂 Thanks for stopping by, Amy! We do warm Lemon juice every morning. But we also then do a green juice that we add turmeric and cayenne too… I love the sounds of your sugar scrub. I’m just getting back to spin class got burned out.. After Paris just so not into it. Except I gained 10 lbs Yuck…. So back it is but I needed the break…. 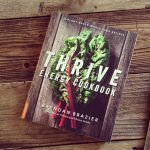 What a great post Kristy! Happy New Year! I’ve GOT to try you first two as I’m dying to know if I could have the same results…I will let you know! Hope you keep up all this awesome stuff….love it all! Thank you, Shira and Happy New Year to you too! I hope those two work as well for you as they did for me. 🙂 Let me know how it goes! Happy New Year Kristy! I love how you incorporated so many little new habits into your daily routine; I was so intrigued by Gabby’s post on oil cleansing and am so happy to hear you have had a positive experience! And I’ve tried the morning lemon water thing a few times but have had trouble making it a habit. Gonna give it another go though! Your blog was highly recommended by Jess from Cupcakes And Kale. I was curious to check it out and have been on your site for over an hour now and I still need to subscribe to it!! Have you ever tried a spoonful of peanut or almond butter to get rid of hiccups? It works all of the time for me!